Mueller talks about the progression of leadership skills: doing the work; leading people doing the work; developing the strategy behind doing the work; and acquiring, inspiring and empowering people to develop and drive strategy. When Trish Mueller, former CMO of The Home Depot and co-founder of Mueller Retail Consulting, heard those words a number of years ago while at The Home Depot, it began a journey for her. 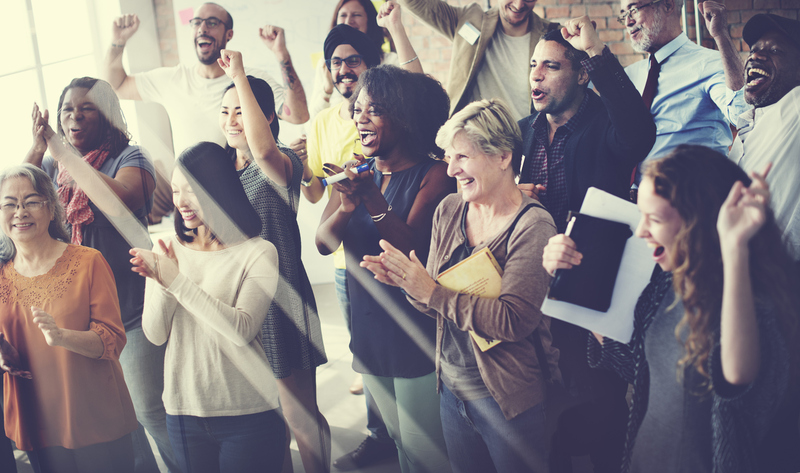 Mueller recently led a CMO Club virtual roundtable looking at developing and enabling teams: You raise me up: how to inspire, engage, and develop your team (and why it matters). “That startled me,” Mueller recalled when Mark Holifield, EVP of logistics and supply chain at The Home Depot, said those words. “It was a pivotal moment for me, as I thought about how hard I was working.” At the time, her team wasn’t letting her down, but she wasn’t doing the right things to develop her team – teaching them to step up, giving them opportunity, and empowering them. Mueller set out to learn more about herself and about the progression of leadership skills – from doing the work; to leading people doing the work; to developing the strategy behind doing the work; and finally, acquiring, inspiring and empowering people to develop and drive strategy. “I wasn’t focused enough on the last step,” she said. Once she did focus on that, Mueller said that’s when her career really gained traction. She let her team manage the development of strategy and drive the business forward, while she served as a guiding principal for them. Drew Keenan, senior director of media strategy for The Home Depot, was a member of Mueller’s team during that transition and joined the roundtable discussion. “Once you make that shift… the teams are happier, the work is better, and it really had a transformational and incredibly positive impact on our team,” he said. The process to getting there involved conversations with her team about how they defined leadership. As words like “listening” and “humility” came up, Mueller found skills she needed to work on. She challenged her team to be vocal and voice alternative points of view and rewarded them for doing so. During recruitment, Mueller looked for characteristics to cultivate, including courage, composure, curiosity and competitiveness. “These were the founding pillars that we looked for in the team,” she said. Pick a leader to own team development. Survey the team to see what they think they need, and examine their annual reviews. Invest one hour per week with your team development leader. Spend a half-day per quarter facilitating formal training; and continually benchmark success. Don’t think you have the funds? No problem. When Mueller undertook this challenge, she didn’t have a big budget for team development. She leveraged available content such as the company’s archives, and peers who had expertise. Her team visited partner companies and read books together. Mueller even took it one step further and said those leaders with time to do so should evangelize what they’re doing to the rest of the company. “People found out all the cool things we were doing, and wanted to come work in marketing,” she said. Attending conferences with key leaders. Taking the team out to celebrate. And, taking a team building trip overnight and facilitating development exercises. The result, she said, is the opportunity for CMOs to “lean back.” She began facilitating meetings instead of leading them, drawing people into the conversation, and drawing out alternative points of view, she said. In short, she said it was important to let her team make the call and be accountable for their decisions. Why does it matter? Mueller pointed out that current turnover among CMOs is terrible. “They need to have stronger teams to make them successful, so they can stay,” she said. Enabling their team will allow CMOs to have more time to make an impact, while also leading to stress reduction and overall job satisfaction for both the CMO and the team, Mueller said. If there is a downside, Mueller said, it’s that people will see your success and try to steal your team members. But as she said, “that was a win for me” because it helped my team have a better career in the end.